Detail:Women who regularly get their eyelashes tinted enjoy a number of benefits. If your lashes are naturally blond, getting them dyed will create a much more dramatic look for your eyes. The best part is the benefit is around the clock; unlike mascara that you must apply every morning, be careful not to smudge, and wash off at night, with dyed lashes you wake up looking like you already have makeup on. 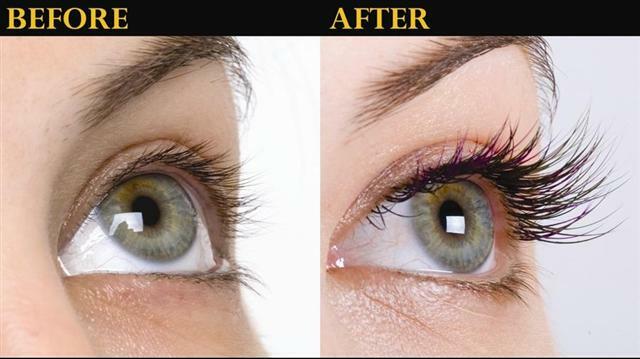 Lash tinting is a great option for women who have busy or active lifestyles. If you spend a lot of time swimming, playing sports or chasing your kids around, it's likely that you do not often wear mascara. Lash tinting will give you a more polished, coiffed look that is also no-maintenance.